We’ve reached a critical juncture in our relationship with Israel. And now I believe that it’s time to set up an advocacy program focused at the top national levels of Israeli decision-making. This last year we’ve witnessed a tragic deterioration in the way members of our community have been treated by representatives of the Government of Israel. I don’t need to remind you of the disingenuous Kotel negotiations and falsehoods regarding the Conversion decisions, the shameful recent statements about Reform Jews by Government officials, the appalling statement by the Deputy Foreign Minister on the ‘convenient’ lives of Diaspora Jewry, and more. These aren’t just recent attacks either. They’re part of an on-going pattern in which our Jewish identity and communal ideals are regularly ridiculed, demeaned, abused and attacked by Israeli political leaders and their followers. These attacks aren’t merely focused solely on the Reform and Conservative branches of our community (even though the movements represent the majority of our synagogue affiliations). They are attacks on our values – Ahavat Yisrael (Love of the Jewish People); Kol Yisrael Areivim Ze BeZeh (our mutual Jewish responsibility); and Achdut (unity) – and the respect for diversity that our community proudly upholds. In my Federation community, Greater MetroWest, we’ve created a community that is extremely tolerant, diverse, kind and respectful. There are, in fact, at least nine streams of Jewish thought and practice represented in our community, perhaps even more. We work hard – really hard – on basic common values to nurture our unity and community through mutual trust and dialogue. We have dozens of lay and professional leaders who strengthen the connections among and between our over-80 synagogues, our four Jewish Day Schools and our dozens of beneficiary agencies. We coordinate and liaise with our friends and partners in dozens of other Jewish and Israeli agencies and organizations in the five counties of Greater MetroWest. We don’t take respect for diversity and dialogue for granted here – we work hard at it, and see it as both a daily blessing and a renewed call for action. I’ve just returned from an incredibly moving and successful CRC (Community Relations Committee) mission to Washington D.C. in which we met with our elected House and Senate representatives and – despite what may sometimes be portrayed in the media – saw their high level of bipartisan cooperation and collaboration on many issues. It was a reminder that an attack on a part of our community is, at heart, an attack on us all and on the communal solidarity that we cherish. Let me add a quick side-note. Greater MetroWest’s Religious Pluralism initiative, focused on supporting Israeli grassroots and communal organizations to advance the religious pluralism agenda, was set up by then-President Murray Laulicht, who continues to inspire and lead many of our communal efforts. Additionally, it’s supported by our current President, Scott Krieger. Both Orthodox. Not that this should matter. But still, it’s a reminder that, as a community, we value our diversity, learn from one another, and know that we’re stronger when we work together, as partners. I used to endorse the concept that only Israelis have a voice in what goes on physically and geographically in Israeli society. But I don’t believe that’s viable anymore. Not just because the issues that we’re discussing “in” Israel are directly impacting our Jewish community and practice here in New Jersey – access to the Kotel, conversion, mutual respect and dialogue – and we need to protect ourselves and have our voices articulated. Not just because our name, Yisrael, demands from us an ongoing grappling and engagement with our love for the People and the Land. But also because meaningful, respectful dialogue between Israel and the Diaspora actually requires our voice to be heard. We’re stakeholders, not bystanders. We need to maintain our long-standing consistent and significant support of the Reform and Conservative movements in Israel, along with other important grass roots organizations, including those in the Modern Orthodox community. Whatever Progressive Judaism, or any kind of Judaism, is going to evolve to in Israel, it probably won’t (nor should it, necessarily) look like what we have here in North America. And that’s ok. Same goes for the pluralistic Batei Midrash and progressive seminaries and Modern Orthodox programs which we’ve been funding. We’ve seen individual, bottom-up, grass roots impact in Israeli society, and we know there’s much more to do, as we work on measuring evaluation and effectiveness. We’re one of the only Jewish organizations in North America to have a full impact assessment and measurement unit, and we hope to continue our work in evaluating how our Israel religious pluralism programs effect social change and how we invest our passion and focus. Not only for the sake of our local community but for the sake of the Israel we love too. In the near-term, we need to address the attacks on our community. We need to stand up for the Jewish People – all of us. And we need to articulate the case for – and demand – respectful, tolerant, meaningful dialogue. We’ve worked on grass-roots advocacy, we’ve worked to strengthen the streams and the pluralistic forces in the towns and cities and regions. But we haven’t looked at this from the top-down, and now that needs to be addressed. We advocate on the national level in Israel. Advocacy works. We’ve seen it in the U.S. and we’ve seen it in Israel. Our friends in AIPAC do it, the NRA, the tech industry, the mining industry, big oil, big pharma, the AARP, all do it. In Israel there are powerful commercial lobbies, settler lobbies, and advocacy from civil society groups like the Agudah (the Israeli LGBT task force) and more. As stakeholders in the future of American and Israeli Jewish life, are the values of American Jewry less worthy of a voice? 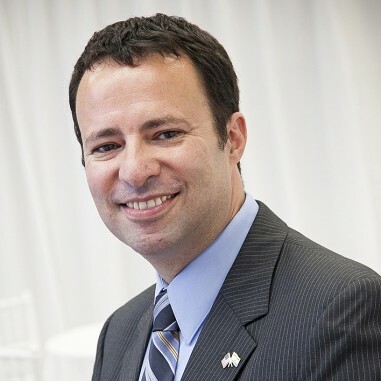 By advocacy I mean a deliberate focused effort to create, manage and sustain a Greater MetroWest presence (with the aim to invite others who share our values to join us) in Israel, with the intent to influence government and individual decisions and promote North American and New Jersey values of tolerance, respect, religious diversity and pluralism, and enhanced dialogue between Israel and our community. What would this advocacy effort in Israel look like? Build on existing environment scans to map out the state of religious pluralism in Israel and help us highlight potential partners, national strategies, allies and obstacles. Identify key decision-makers in political structures, and their roles in the dialogue ahead. Help create or enhance structures to bring Israeli decision-makers to our community to learn about us, our values and our priorities. Identify elected officials who promote and support our values in the Israeli national dialogue and help us encourage their funding, their support and their advancement. Create fact-sheets, brand the issues clearly in the Israeli and Jewish dialogue, and invite the diverse members of our community to better understand these issues. Provide for an immediate real-time response to those who attack, debase, or denigrate our communal values, and plan strategically how to work with our allies on countering their opposition. Build coalitions and help channel funding to those groups and coalitions that clearly promote our shared values. Create structures and enhance existing opportunities to encourage every GMW resident visiting Israel to see these programs, meet our allies, provide financial and other means of support to their efforts, and spread the word of their efforts back in New Jersey. Partner with our existing widespread network of partners, friends, allies and programs to widen the spheres of Shared Society, widen our network, and enhance collaborations and cooperation. This should include (but not be limited to) the hundreds of returning Shlichim and Rishonim (Shin-Shinim) – emissaries – who have served in our community, our P2G and Partnership friends and participants, all past and current program participants and beneficiaries of Federation funding, and more. The above position paper represents no one except for myself. It does not necessarily represent the current aims, goals or policies of our Jewish Federation. It is solely for discussion purposes and to spark a policy conversation. Because, while we will not be able to finish this work, I no longer believe that we are free to desist from beginning it.